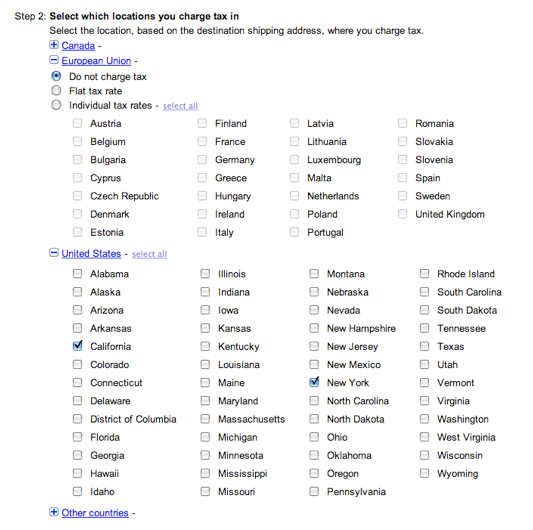 We’re happy to share an update to merchant tax settings that we hope will make selling internationally even easier. Merchants can now set sales tax rates for all countries supported by Google Checkout from the Tax setup option under the Settings tab in the Checkout Merchant Center. 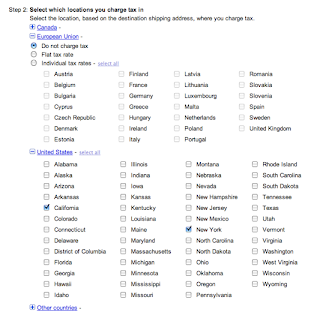 Specifically, you can specify tax rates to apply to the goods that you ship to over 140 countries, all U.S. states, and all Canadian provinces. 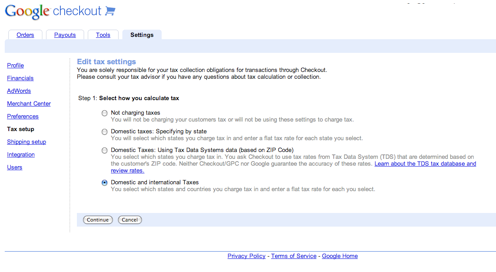 To learn even more about setting sales tax rates, visit our Help Center and let us know what you think in the Merchant Forum.